It’s hard to believe that the holidays are already upon us. 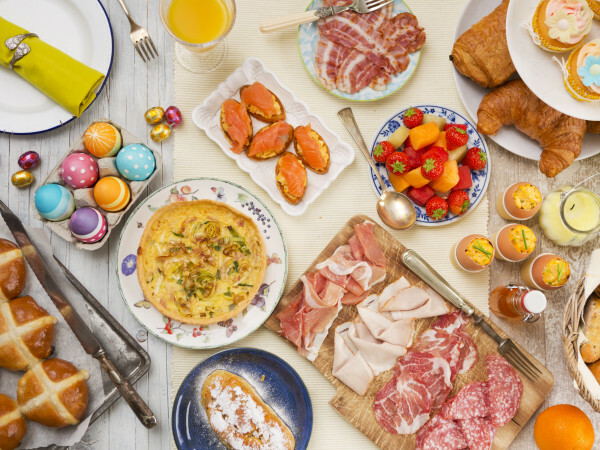 Sure, there are a number of festive events popping up across San Antonio, but you can really go all in on the season by visiting some of the celebrations in our neighboring cities and towns. 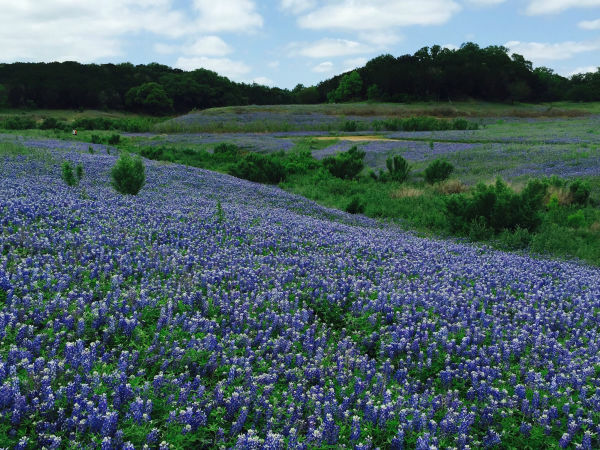 Eat, drink, and be merry outside the city limits with a day trip to these popular Hill Country holiday events. This year marks the 28th annual Lights Spectacular in Johnson City. November 24 through January 1, visitors can see this quaint town transformed into a dazzling display of Christmas lights — and we do mean dazzling. 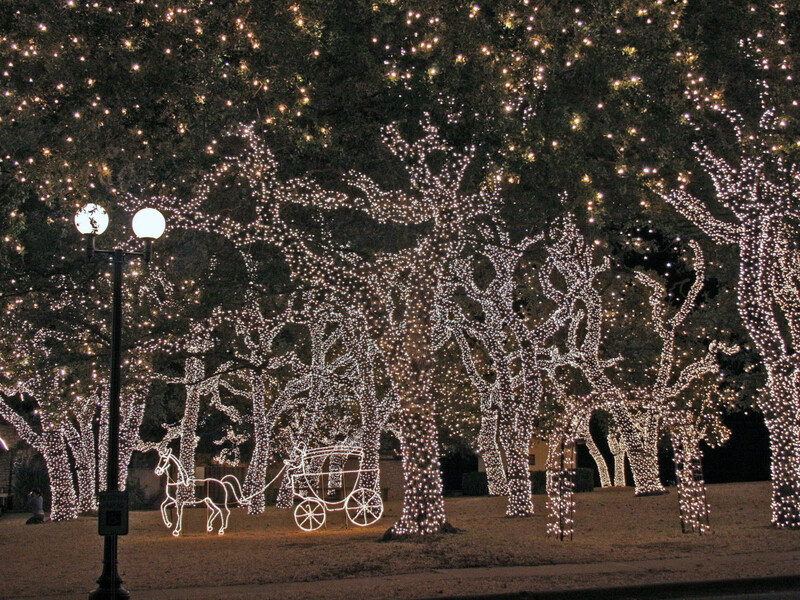 Local landmarks like the courthouse, city park, and the Pedernales Electric Cooperative campus put up over 1 million LED lights every year. On top of the spirited decor, each weekend offers an opportunity to check out other fun events, including a chuck wagon food court, living nativity performances, and carriage rides. 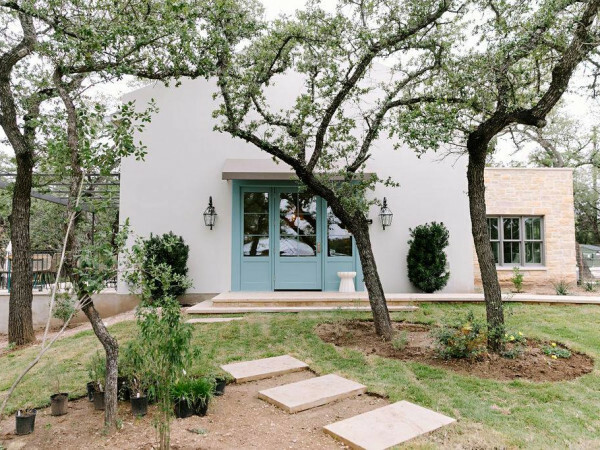 Wimberley's EmilyAnn Theatre and Gardens puts on various productions and classes throughout the year, but during the holidays the grounds are transformed into a glittering sight to behold. Stop by Thursday through Sunday nights, November 25 through December 28, to walk the Holiday Trail of Lights and enjoy the more than 100 light displays set up over eight acres. While strolling along, enjoy concessions like hot cocoa and s’mores to fully embrace the holiday spirit. There’s no charge for admission, but donations are greatly appreciated. The heart of Fredericksburg is its historic Main Street, so it’s only fitting that it becomes the site of the city’s Light the Night Christmas Parade. On the evening of Friday, December 1, visitors can watch a spectacle of bands and floats march down the street against the backdrop of the illuminated buildings. There’s free seating available on a first-come basis, but you can also reserve bleacher seating for $17. And the fun doesn’t stop when the parade is over. Stick around and check out the AfterGlow events which include holiday shopping and a photo op with Santa and Mrs. Claus. 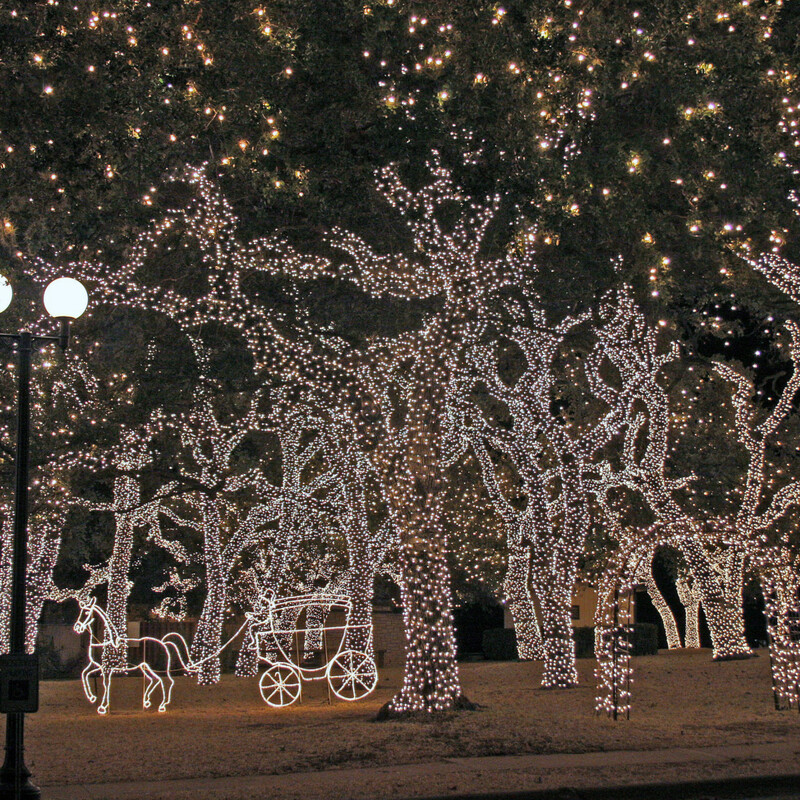 The city of Boerne is host to two festive celebrations: Dickens on Main (during Thanksgiving weekend) and the Christmas Light Fest (Thanksgiving through New Year’s Eve). At Dickens on Main, visitors will find themselves in a winter wonderland surrounded by twinkling lights, ice sculptures, a snow slide, carriage rides, holiday shopping, and more. 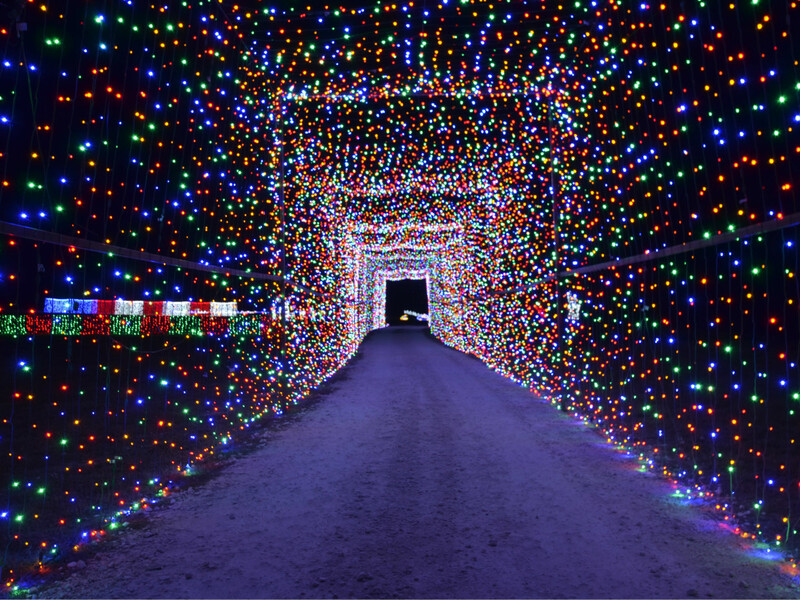 At Christmas Light Fest, you can pile in the family car for $27 per vehicle or hop on a hayride for $15 per person to cruise through two miles of more than 2 million lights. Once you’ve made your way through the drive-thru holiday display, pop on over to Santa’s Village for some relaxation and refreshments. 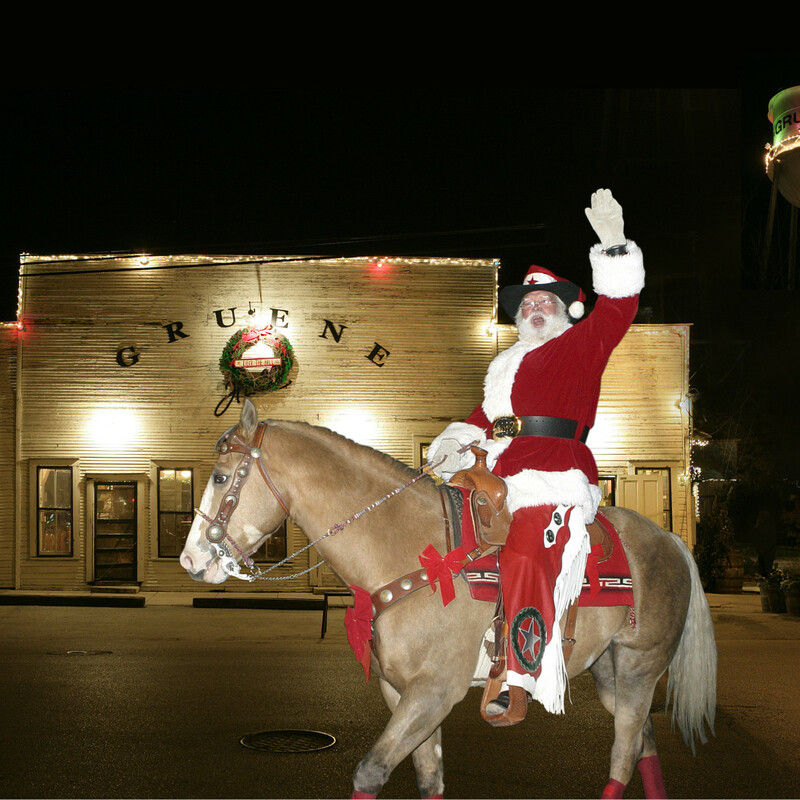 What could be a more Texan way to celebrate the holidays than watching a cowboy Kris Kringle ride in on horseback, lighting up the city? 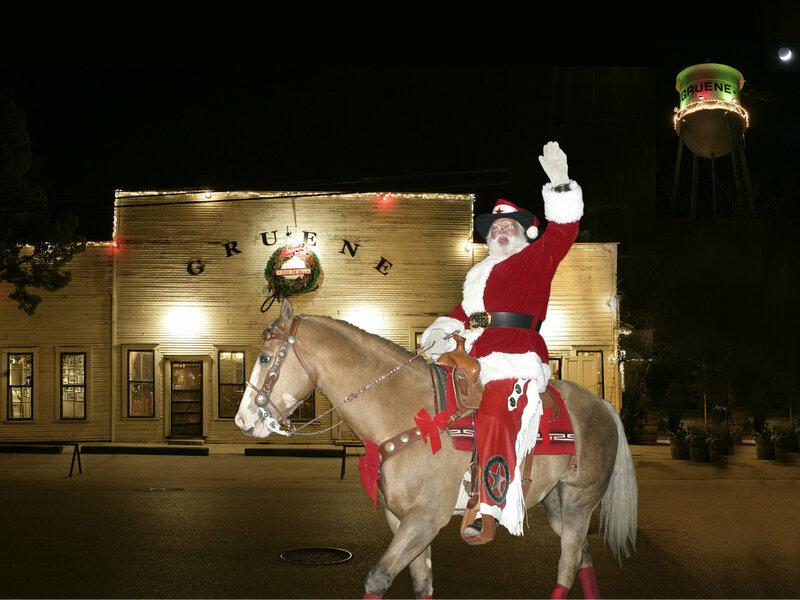 That’s exactly what goes down at Gruene’s Town Lighting. On Saturday, December 2, enjoy food and live music in addition to the lighting extravaganza. For an extra dose of Christmas spirit, mosey on over to the town’s many stores to get your holiday shopping done. There are over 20 specialty shops in the historic district for you to peruse for the perfect presents. A hallmark of this time of year is the imbibing of those classic holiday beverages like spiked eggnog; mulled wine; and wassail, a hot mulled cider. New Braunfels celebrates this signature winter drink on Thursday, December 7, from 6 to 9 pm. While the star of the show are the free samples of wassail, there’s also food, music, shopping, and, of course, plenty of pretty lights for your enjoyment. Grab your mug and get ready to toast to the season! 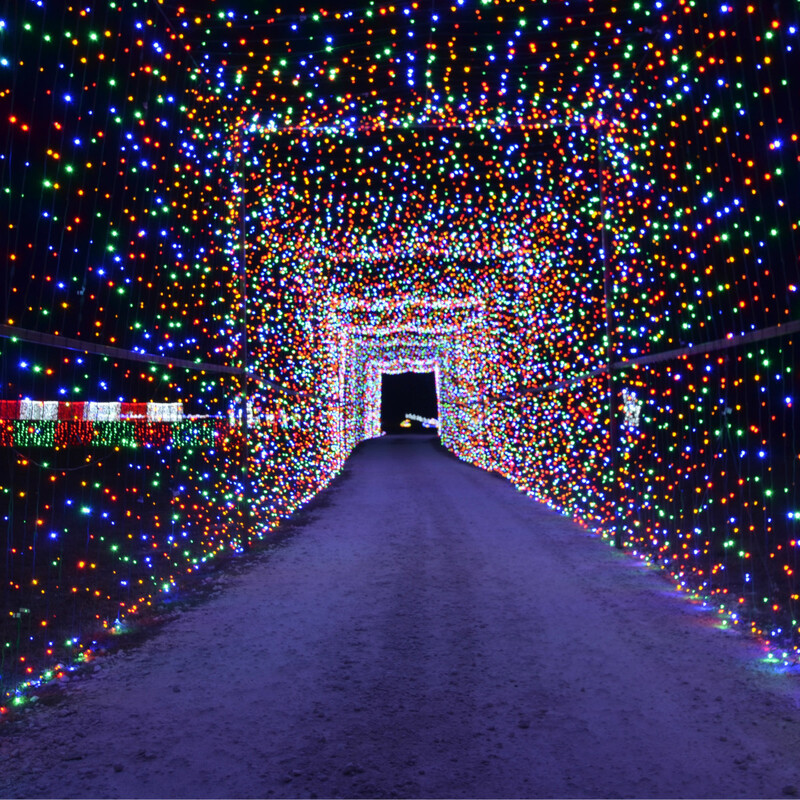 Head to Marble Falls for the spectacle that is the Walkway of Lights every night from 6 to 10 pm, November 17 through January 1. Over 2 million lights and hundreds of sculptures make up this winter wonderland at Lakeside Park on the Colorado River. On average, walking the full trail takes around 30 minutes, and on weekends and holidays, visitors can snap a photo with Santa. While there’s no cost to enjoy this widely popular exhibit, you are welcome to make a donation. First Baptist Church in Burnet helps you travel back to the ancient city of Bethlehem with their annual Main Street Bethlehem event December 1-3 and 8-10. In this immersive and interactive experience, you’ll meander the narrow streets and busy marketplace and make your way past merchants, Roman soldiers, beggars, and livestock to eventually find yourself at the cave where Mary and Joseph have taken shelter. Presented as a Christmas gift to the state, admission is free but donations are accepted. A two-day affair, Georgetown’s Christmas Stroll makes for a fun, family-friendly holiday outing December 1-2. You can see the Bethlehem Village; check out around 175 vendors; enjoy live entertainment; take your photo at Santa’s Village; and explore the Winter Wonderland, which includes ice skating, a swing carousel, and a Candyland obstacle course. On Friday’s agenda, there’s a Cookies with the Grinch event followed by a screening of the classic How the Grinch Stole Christmas. On Saturday, visitors can catch the holiday parade.